He didn’t drown. He didn’t burn. He’s just a psychopath with a sledgehammer. 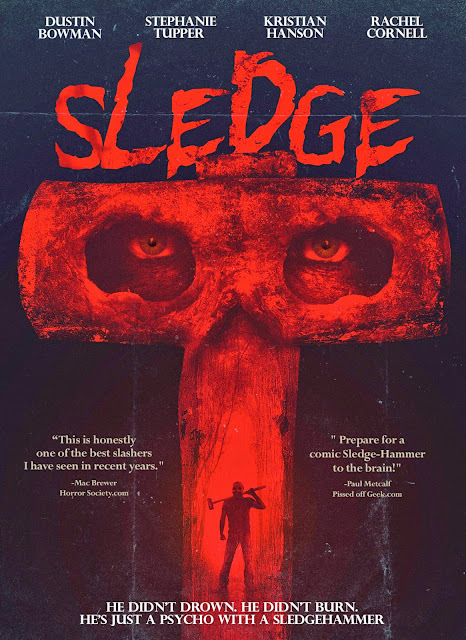 SLEDGE, a ‘bloody’ good horror-comedy in the tradition of Tucker and Dale vs. Evil and Shaun of the Dead, premieres on VOD September 2nd and DVD on October 7th. Hanson says SLEDGE is a movie made for the horror fan like himself.